Raised to defend the Jewish faith, Saul of Tarsus persecuted Christians until he heard the call of Jesus and became known as Paul. Traveling from Damascus to spread God's word, he rode a donkey who witnessed the goodness of God and the miracles Paul performed. 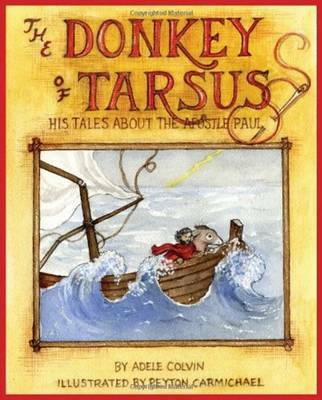 That humble donkey recounts his journey with the apostle in this beautifully illustrated biblical adaptation. Adele Colvin is a songwriter whose work has been featured in songbooks and worship services. Colvin received a BA from Vanderbilt University and is an active member of her church. She is the author of The Donkeys Tales and The Donkeys Easter Tale, which are both available on CD. Colvin lives in Birmingham, Alabama, with her husband. Peyton Carmichaels work has been exhibited in galleries throughout the southeast and New York. She was the recipient of the Silver Bowl Award for Literature at the 1985 Birmingham Festival of Arts. This is her fourth collaboration with Adele Colvin.